With the temperatures dropping, cold and flu season is upon us. And with Americans getting about one billion colds every year, there’s a good chance you or someone you know will end up sick this season. But fortunately, there are a few steps you can take to lessen your chances of getting sick — and getting others sick. 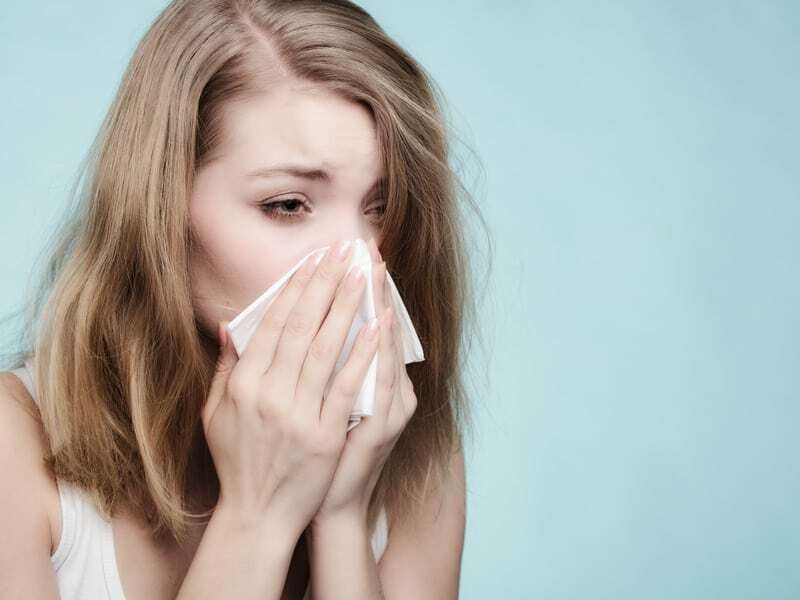 So let’s explore a few simple ways to prepare for and survive this cold and flu season. First things first, you need the right supplies. There are plenty of items you need to both help prevent catching a virus or fighting one off quickly if you do get sick. You should invest in the basics, like hand sanitizer, tissues, and cold medicine. This way, you’re prepared for any virus that may come your way. But you may also want to invest in other items like a humidifier. A humidifier can help increase the humidity in your home, which may make it more difficult for viruses to spread. And, of course, don’t forget to get plenty of disinfectant wipes and sprays — and use them! Keeping a clean house will kill any germs that make their way in. With these supplies, you’ll be set all cold and flu season. While it may seem obvious, good hygiene plays a critical role in how healthy you stay during cold and flu season. It takes just a few minutes, some warm water, and some soapy suds to give you a better chance of not catching a cold or the flu. During this sickly time of the year, you may even want to swap out your usual hand towels for paper towels to be able to easily throw away germ-infested towels. Washing your hands regularly, especially before you eat or cook, can go a long way when it comes to avoiding getting sick and spreading viruses too. So wash up! You have too much work to do, you have no more sick days, you have an important meeting coming up… there’s always some excuse to go to work even when you don’t feel good. Well, guess what? Going to work when you’re sick only does more harm than good. Not only do you not get the rest you need to fight off your illness, but you risk spreading germs to your co-workers. Remember, sharing is not caring when it comes to colds and the flu. So if you do get sick, stay home. If you really have that much to do, ask your boss if you can work from home or conference call into a meeting. Staying home to get the rest you need is a much better option than trying to power through an illness and ultimately only feeling worse. If you’ve been slacking on your laundry, now is the time to get caught up. With the Bureau of Labor Statistics showing that $1,800 is spent each year on clothing by the average American, you’re bound to have plenty of clothes to last a few weeks. But you shouldn’t let your dirty laundry pile up because it can actually increase your chances of getting sick. Your clothing picks up germs from almost everything you touch. And if you don’t wash your clothing often, the germs can stick around and cause you to get sick. It’s especially important to wash things like gloves, coats, and bedding because these items tend to not get washed as frequently. So while you’re keeping the rest of your house clean, don’t forget about your laundry. With the U.S. needing about 52,000 more primary care physicians by 2025 to meet rising healthcare needs, it’s more important than ever to stay as healthy as possible. So keep these tips in mind to make sure you get through cold and flu season with as few illnesses as possible.